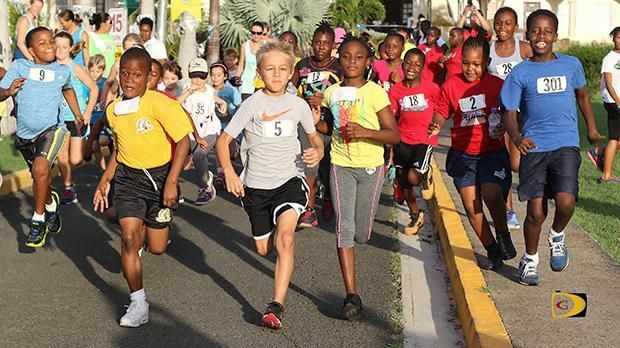 The run has been put on due to popular demand as the College Classic Series, the brainchild of sports journalist and former President of the BVI Athletics Association (BVIAA) Dean H. Greenaway aka ‘The Sportsman’, has been ongoing interrupted for over two decades, having started on October 19, 1996. “We are delighted to note that in lieu of the College Classics 2 mile series there will be a fun run at HLSCC tomorrow [Saturday] at 7:00 A.M. with registration from 6:30 A.M.,” stated road racing coordinator Kay Reddy today, November 24, 2017. Ms Reddy said the run will also be a fund raiser for those in need and persons are asked to walk with canned goods and paper items that can be donated. For more information contact Stephanie Russ Penn at 496-7155.